According to The Sporting News, the San Francisco 49ers have hired New York Giants Assistant Defensive Line Coach Jeff Zgonina to be their new defensive line coach. Zgonina joined the Giants last offseason. Patrick Graham, who also joined the Giants last year, remains the team’s defensive line coach. 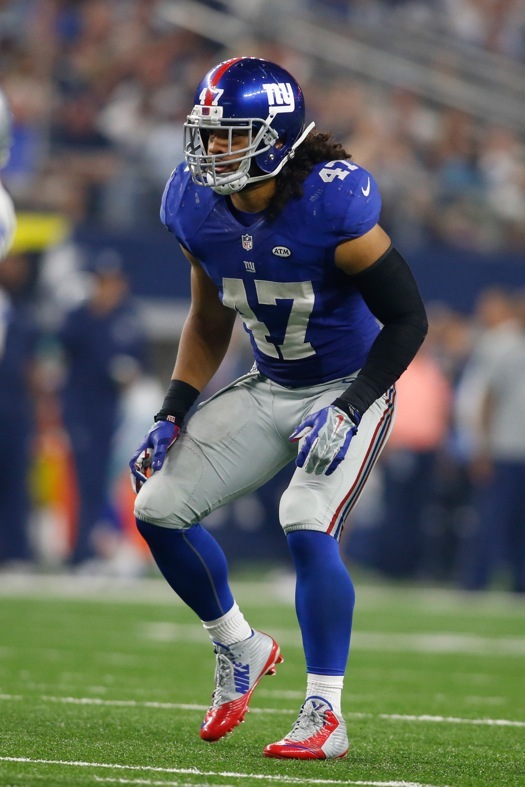 New York Giants have waived/failed physical linebacker Uani ‘Unga. ‘Unga was waived/injured and then placed on Injured Reserve in May 2016 after suffering an undisclosed injury. ‘Unga suffered a serious injury to his right knee (ACL, MCL, and meniscus) during his last year in college in 2013 and was not drafted. The Giants signed him to the team’s Practice Squad in December 2014. ‘Unga received far more playing time than expected in 2015 due to injuries to other players. He played in 13 games with three starts, and finished the season with 59 tackles, four pass defenses, two interceptions, and two forced fumbles. The video of a Giants Insider Q&A with wide receiver Tavarres King is available at Giants.com.